Basacilly bot programs are constructed as clients which communicate via existing servers. This allows the bot herder (the person controlling the botnet) to perform all control from a remote location, which obfuscates their traffic.Many recent botnets now rely on existing peer-to-peer networks to communicate. 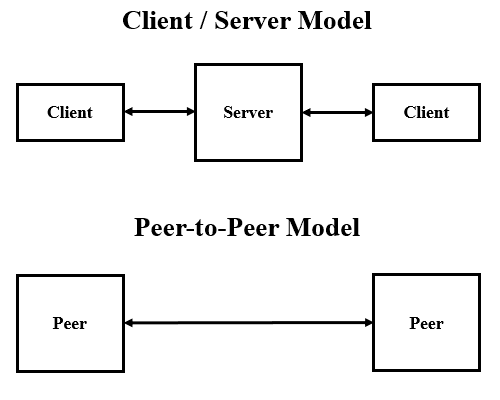 Client-server model- The client-server botnet structure is set up like a basic network with one main server controlling the transmission of information from each client. the client-server model works well for taking and maintaining control over the botnet. Peer-to-peer– In this newer botnets have evolved to use the more interconnected peer-to-peer (P2P) structure. In a P2P botnet, each infected device functions as a client and a server. P2P botnet structures make it harder for law enforcement to locate any centralized source.